As an anniversary meal my husband and I wanted to go somewhere with a difference. 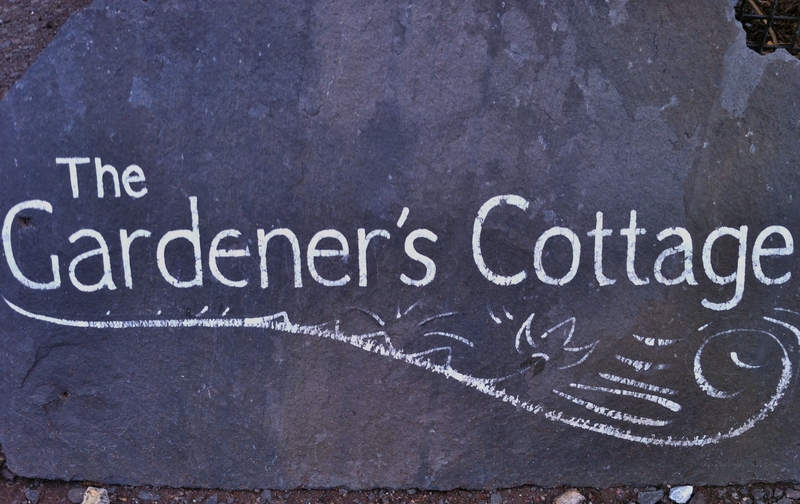 After hearing and reading lots of highly recommended reviews on ‘The Gardeners Cottage’ we thought this would be the perfect place. Set in a cottage originally built for gardeners, the reconstruction into a restaurant finished in June 2012. Since then the two experienced chefs have grown their own gardens around the cottage and formed friendships with the local community and local producers to ensure the freshest produce. The little quaint cottage sits alone. Walking up the gravel path you get a sense of excitement, admiring the various leaves,vegetables and fruits growing in the front garden. 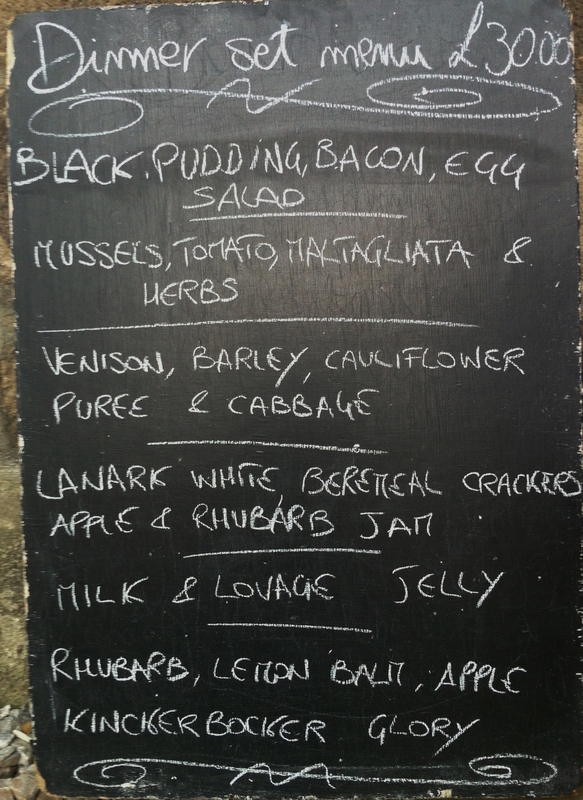 The menu is on a blackboard just before entering the cottage. The difference to this menu is that you do not have choices. It is a set menu for £30. We were the first to arrive for the dinner service. When entering you do have the feeling that you are in your grannies house. With vinyl music in the background the ambiance is very relaxed. The décor is very rustic. There are two rooms, one with two long wooden communal tables and the open tiny kitchen and the other with one communal table. We were seated and the waiter explained the six course menu, asking if we required changing anything on it. 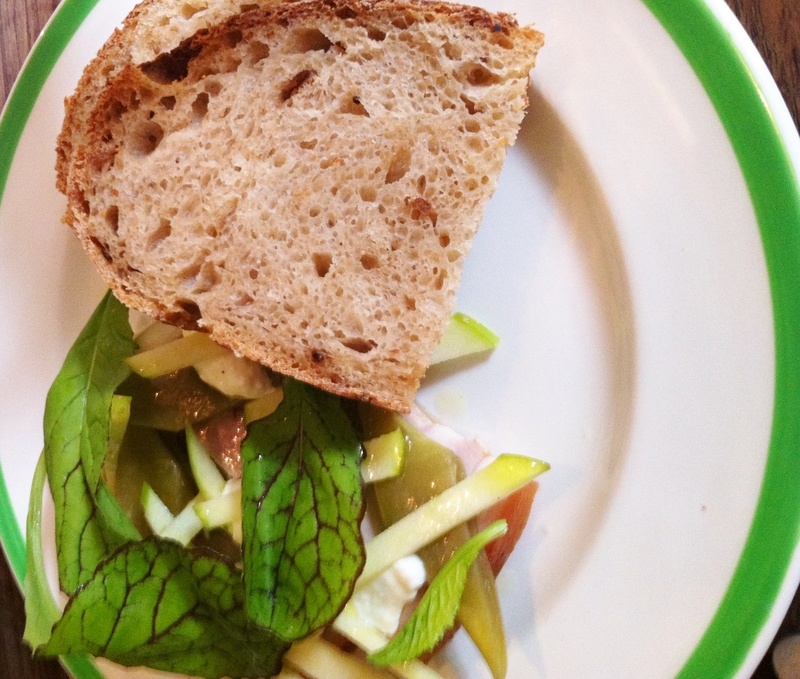 The first food to arrive was a slice of sourdough accompanied with a piece of cured ham salad. This was not on the menu just a little extra course. The bread was still warm out of the oven. The salad consisted of crunchy green apple slightly salted cheese and juicy pickled vegetable. This accompanied the ‘Gorgie farm’ ham perfectly. To follow our menu began. The title of this course was, ‘Black pudding, bacon egg salad’ and that was basically what it was. A piece of black pudding sat at the bottom of the plate with lots of rocket and crispy bacon covering it. 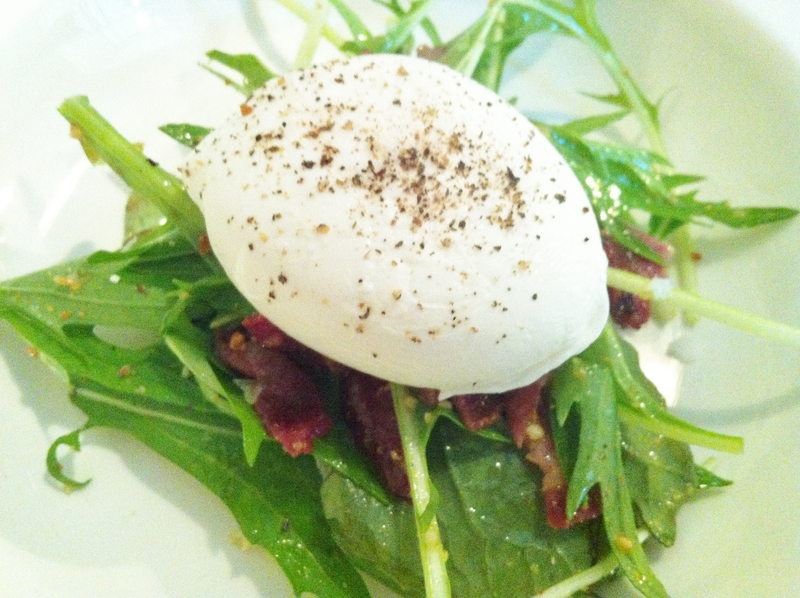 A poached egg was placed proudly on top. It was all seasoned and cooked perfect but was very simple. Not a bad start to the meal. The following dish was my favourite. Homemade pasta with mussels, tomato and herbs. The pasta was cooked al dente. Taken out of their shells the mussels were no hassle to eat and very juicy. The tomato sauce was fresh tasting with some cooked tomato wedges through it to add some texture. My only complaint on this course is that it didn’t really need the rocket on top. I felt that this did not bring anything to the dish and would have been better without. 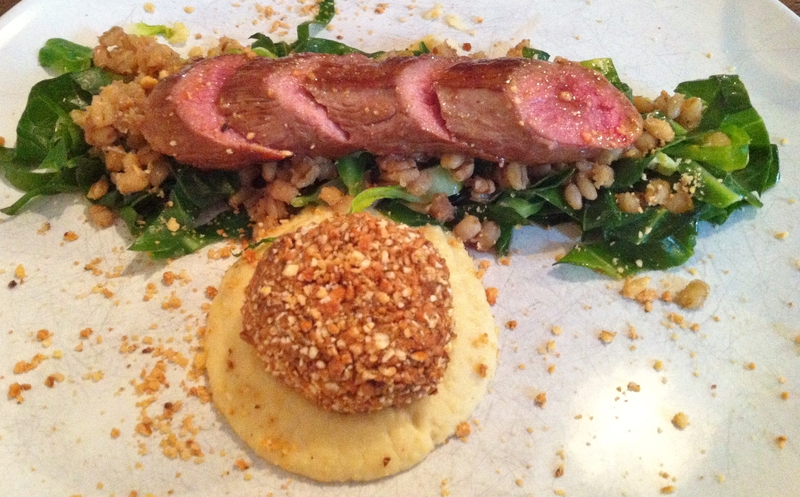 The main meal of venison, barley, cauliflower puree and cabbage was the next course. The venison was cooked to perfection, very tender and succulent. The cabbage was cooked in butter and still had a crunch. The venison ball, fried and coated in oats was very tasty. However, the creamy cauliflower puree was the closest thing to a sauce that was on the plate. The dish completely lacked a sauce with a bit of sharpness or fruitiness to break through the earthiness of the whole dish. Bitterly disappointing. Pretty as a picture, jelly was to follow. 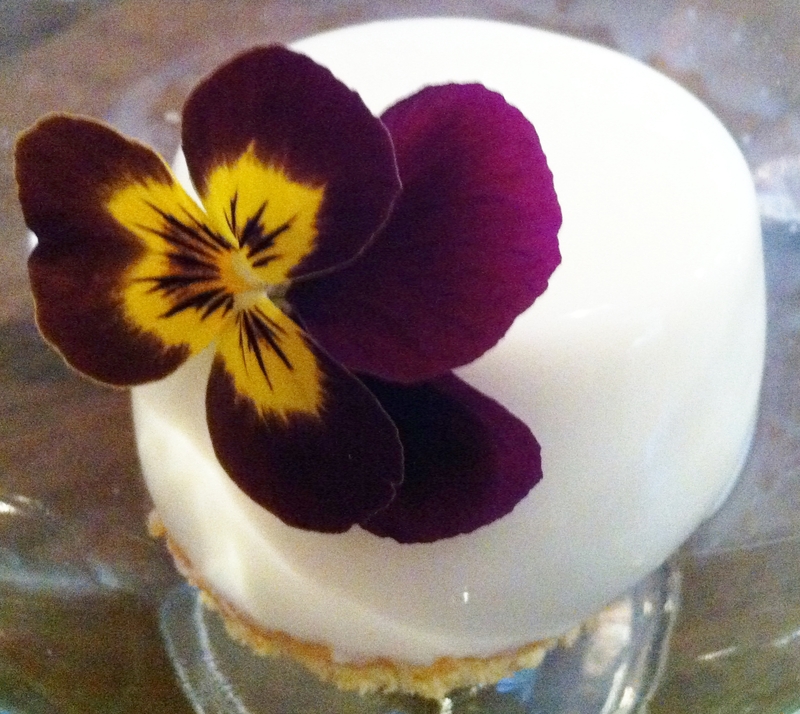 Very simple milk and lovage jelly presented with a garden flower. The dish did not have a pleasant taste. Lovage is a modern herb which I am not a fan on. 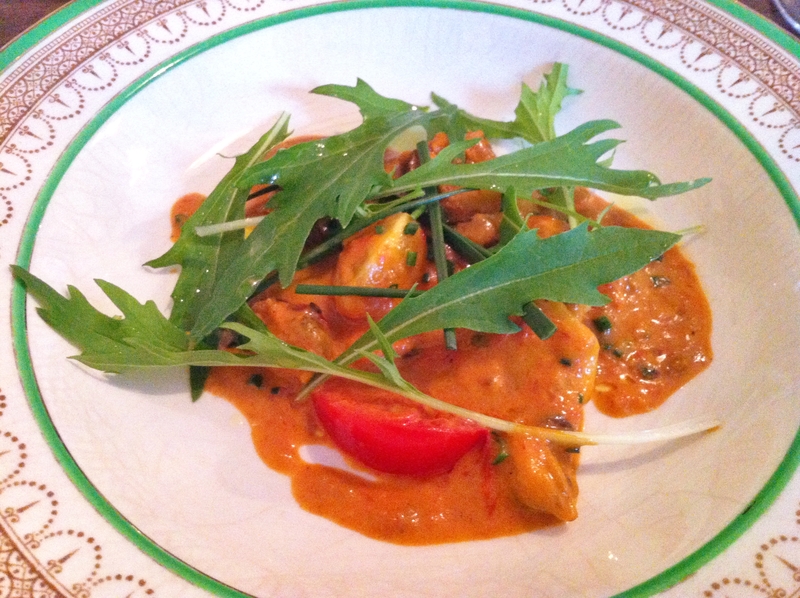 The lovage was overpowering and the overall taste was floral with a hint of aniseed. Cheese and crackers next. The one cracker was crispy and the slice of cheese was creamy. 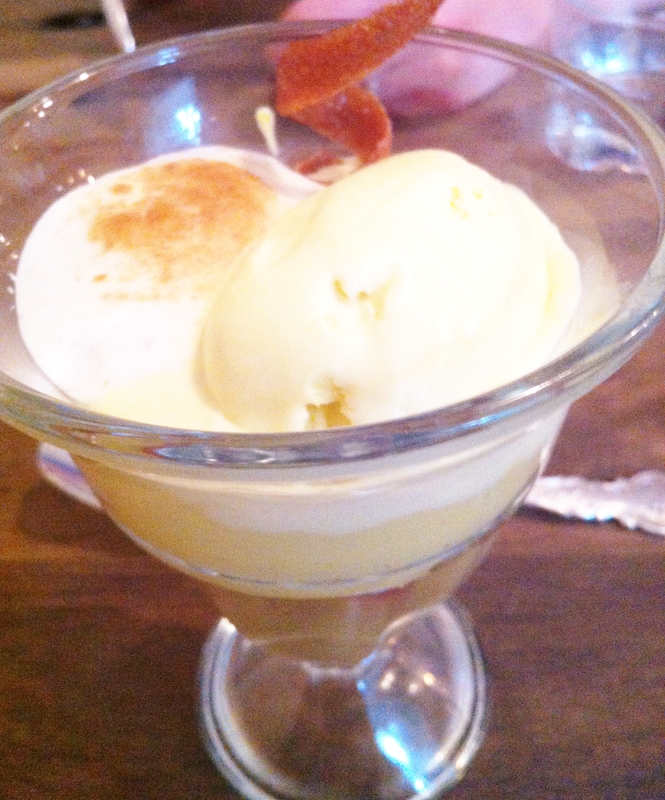 Again another course that did not tantalize your taste buds. 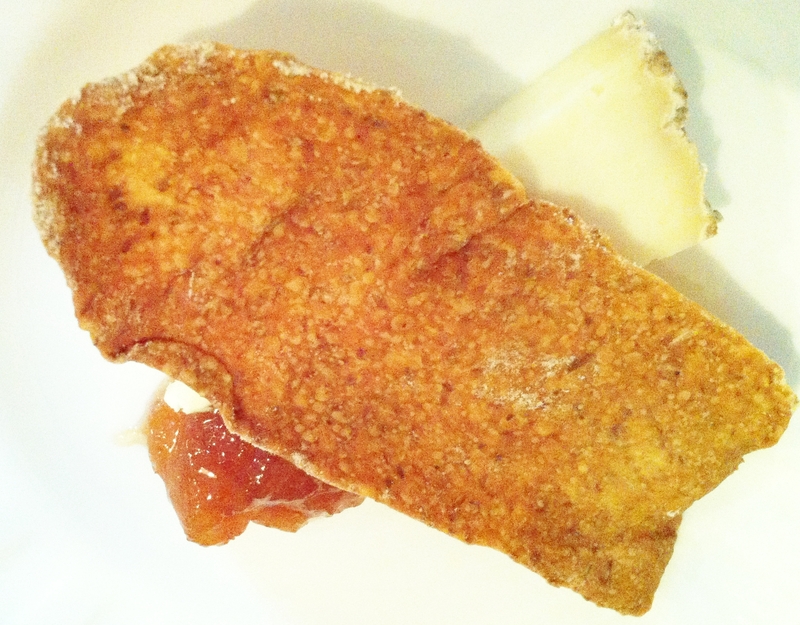 The apple and rhubarb jam that accompanied the cheese tasted of sugar, far too sweet. course that was above average. Slightly sharp poached rhubarb layered with tangy creamy custard, topped with a soft sweet meringue and a dollop of ice cream. This was a grown up knickerbocker glory. No tinned fruit in sight! The one lacking element was crunch. The touille on top gave the dish a different texture; there was just not enough of it. Overall the food did not live up to the expectations I had for the gardener’s cottage. I understand the ethos of letting the ingredients speak for themselves but the dishes ended up tasting slightly bland and covered in leaves. So is it the fairytale charming building or the unique dining experience in the set menu and communal tables that give this restaurant such excellent reviews. Personally the communal tables are a great idea but not elbow to elbow with the stranger next to you. The set menu is not for the unadventurous but does provide a food experience. The Gardeners cottage has a great concept just lacking real flavours and perhaps they have to be bolder with their cooking.